Sat. & Sun. Sep. 27 and 28, 10 a.m. – 4 p.m.
Join this informative 2-day workshop to explore how applications of colored slips can be incorporated into one’s own ceramics. 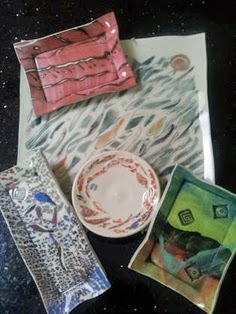 Students will learn how to use colored mason stains and porcelain to make colored slips. Also, students will have the chance to use the colored slips produced in the workshop into at least two pieces of artwork. A boxed lunch will be provided both days. Additional materials are required, visit website for details.